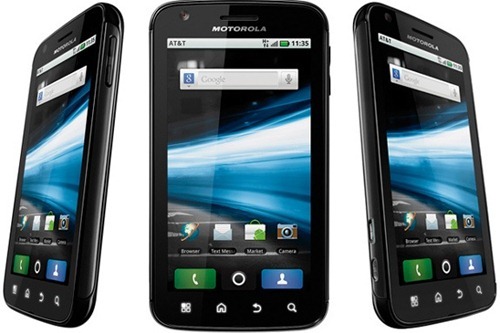 Motorola has released a 4G phone at the CES event and it got everybody’s attention. Motorola Atrix has got the specs to die for – A dual-core processor, 1 GB RAM, 3.8 inch touch screen and 960×540 screen resolution. And that’s not what is getting the most attention. The software and the little dock that Atrix comes is making the waves. Atrix comes with a dock for laptop/desktop/TV which has three USB ports, a HDMI port and an infrared remote. The phone can be docked in this and connected and accessed from a laptop/Desktop or a TV. Think of it as the USB drive which geeks carry to have their own operating system and filesystem. Except that this is more elegant. With dual-core processor and 1 GB RAM, Atrix can be powerful than some of our desktops and laptops. Accessing the phone’s software using the laptop’s hardware is just neat. Atrix and the dock come with a software called WebTop which does the heavy loading of connecting the phone and displaying its mobile OS on the computer. The OS might not render well on very large screen desktops but for the rest of us, it works just fine. The use cases are multiple. You want to use someone’s computer but have to access your own files or you are at a place with your laptop and no Internet connection. With the HDMI connectivity, it can turn your TV in to a multimedia hub with just Atrix and the dock. It might be a while for Atrix to get to India. In other words it might never reach here because of lack of 4G network yet. May be Reliance or Airtel can bring this up. Until then ogle over this video from engadget. IPL 4 Player Auction prices – Full Details!